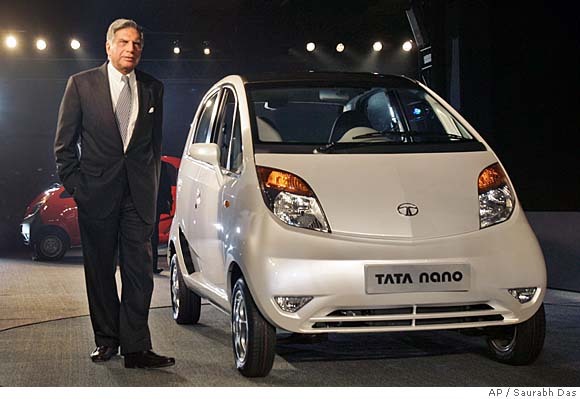 The Indian automaker Tata unveiled its latest model today: the Nano. More expensive than its Apple cousin, the Tata Nano nevertheless only costs $2500. This will allow potentially millions more Indians to own a poorly made deathtrap that will scream along India's roads at a top speed of 60 MPH with no airbags.